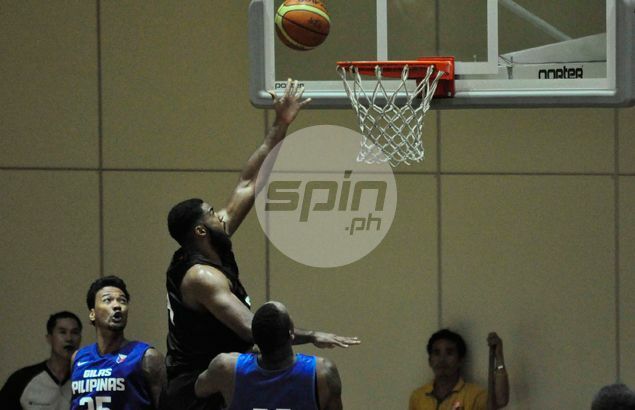 AS expected, Moala Tautuaa was picked first overall by Cagayan Valley in the PBA D-League Draft on Monday at the PBA office in Libis, Quezon City. The highly-touted Fil-Tongan, who currently plays for the Westsports Malaysia Dragons in the ABL, is expected to turn the Rising Suns into title contenders with his size and athleticism in the Aspirants Cup set to start on October 27. The 6-7 Tautuaa is expected to be among the lottery picks in next year's PBA rookie draft but, as a Fil-foreign player, needs to spend at least two conferences in the D-League to be eligible for the drafting. Three college stars followed Tautuaa with Ateneo’s Chris Newsome mde the second selection overall by Tanduay Light (formerly Boracay Rum), De La Salle’s Arnold Van Opstal picked third by Café France, and Norbert Torres selected No. 4 by Cebuana Lhuillier. Fil-American Krismoir Rosales of Hope International University at Long Beach, California was then picked No. 5 by Jumbo Plastic Linoleum Giants. Due to a school tie-up with Far Eastern University, M-Builders selected the Tamaraws' American center, Anthony Hargrove, at No. 6. Wangs Basketball, meanwhile, selected Rob Hainga of University of Santo Tomas at No. 7. Redoh Fabian (Racal Motorsales), Maverick Ahanmisi (Hapee-San Beda), Rizalde Angeles (AMA Titans), Hernal Escosio (MP Hotel), and John Azores (Bread Story-Lyceum) round out the draftees in the first round. Roi Sumang of University of the East was selected first in the second round by Tanduay Light, while Jonathan Grey of College of Saint Benilde was picked second, Bong Galanza of UE third by Café France, Bradwyn Guinto of San Sebastian fourth by Cebuana Lhuillier. Jerramy King (Jumbo Plastic), Achie Inigo (M-Builders), Joseph Ambohot (Wangs), Elmer Managuelod (Racal Motorsales), Chris Javier (Hapee-San Beda), Josue Diswe (AMA Titans), Rashawn McCarthy (MP Hotel), and Joseph Gabayni (Bread Story-Lyceum) round out the draftees in the second round.